When hardship strikes, apply to receive support from the Bass Pro Cares Fund. Enroll in or manage on-going payroll contributions to the Bass Pro Cares Fund. Show you care with a one-time, tax deductible contribution to the Bass Pro Cares Fund. 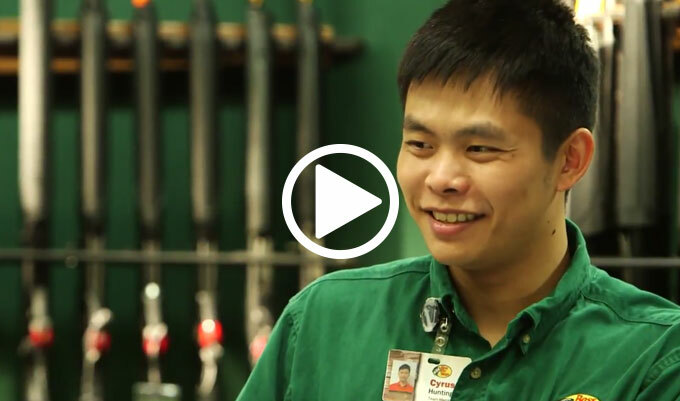 Our team members are more than employees — they are our extended family. When disaster or personal hardship strikes, we are there to provide a hand up through the Bass Pro Cares Fund. Please consider contributing to the fund and support our Bass Pro, Cabela’s White River Marine Group and Big Cedar Lodge family in devastating times of need. Current full-time and part-time associates employed for a minimum of 90 days who are experiencing economic hardship and are unable to afford housing and other basic living expenses because of a qualified event* may apply for support by submitting the online application form or returning completed paperwork to their HR manager. Anyone can contribute to the Bass Pro Cares Fund. Bass Pro Shops associates may choose to contribute to the fund through automatic payroll contributions. Anyone can make a one-time donation using a check or credit card. The Bass Pro Cares Fund is made up of contributions from Bass Pro Shops associates alongside an annual company match. Funds are available to help associates struggling to pay for basic living needs because of a qualified event. Support for basic living needs could include housing, utility bills, medical expenses, home repairs and other eligible expenses as listed in the application. All applications are reviewed by a committee representing all areas of the company. Contact your HR manager or supervisor for more details. *The associate must be facing financial hardship that affects his/her ability to pay for basic living needs as a result of a Natural Disaster, Life-Threatening or Serious Illness or Injury, Death Incident, or other Catastrophic or Extreme Circumstance that has occurred within the past six months. In the case of death of the associate, eligible dependents may apply.